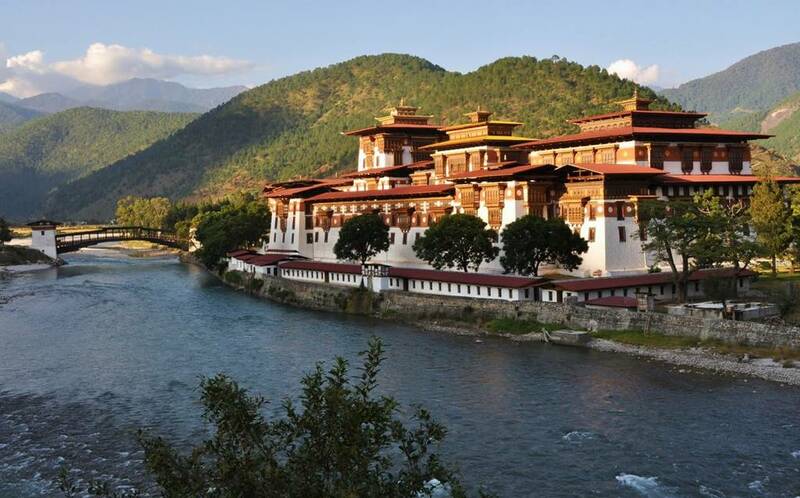 Changangkha Lhakhang built in 12th century is a Buddhist fortress like monastery in Thimphu Bhutan. Perched on a ridge beside Motithang Takin Preserve Changangkha Lhakhang is a one of the favored sightseeing places in Thimphu and a must visit destination of Bhutan. Changangkha Lhakhang is divided into 3parts. The first part of Changangkha Lhakhang is dedicated to the anims who have devoted their life to learn the sacred Buddhist teachings. The other two part of Changangkha Lhakhang consists of an inner sanctum with the remains of Guru Rinpoche and meditation hall for monks. Along with offering the panoramic vista of Thimphu Valley Changangkha Lhakhang is famous in Bhutan for housing the amazing figurine of Chenresig in its 11 headed thousand armed manifestation form in its inner sanctum. Along with the sacred figurine of Chenresig, Changangkha Lhakhang is also the home of the statue of Zabdrung Ngawang Namgyal, the unifier of Bhutan. The foundation of Changangkha Lhakhang was laid on the site chosen by Lama Phajo Drukgom Shigpo. He was a revered saint who came to Bhutan from Ralung in Tibet. Did you know? Changangkha Lhakhang is known to be the spiritual home of the newly born children of Chang Valley. It is also the oldest temple to be built in the pictorial valley of Thimphu. Like other religious site in Bhutan visitors need to wear full clothes while visiting Changangkha Lhakhang. Visitors can visit Changangkha Lhakhang anytime between 6am to 6pm. The morning time between 6:00-8:00am and 5:00-6:00 pm is known to be the best time to visit Changangkha Lhakhang if visitors want to be the part of morning and evening praying ritual in Changangkha Lhakhang.